The big picture: One of the clearest developments that came out of 2018, and prominently on display last week at CES 2019, was the rise of the embedded voice assistant. Amazon’s Alexa and Google’s Assistant were omnipresent at the show, thanks to their extremely wide range of partners and, in Google’s case, their enormous outdoor booth. Samsung’s Bixby also made a much stronger showing in a wide array of Samsung products, and was even touted as the company’s home for AI-based developments. Combine that with recent numbers from Amazon and Google about compatible device shipments, and it’s clear that voice assistants have gone mainstream. But as large and important as the market for voice assistant-capable devices may be, there are still a great deal of uncertainties about where they could be going. At a basic level, of course, is the evolving market share battle between the leading players. Amazon is generally seen as winning the war so far, but Google has been coming on strong, plus Apple, Microsoft, and Samsung are too big to ignore, especially given how young this market still is. The dynamics of the voice assistant are now becoming much more complex. At this year’s CES, for example, we started to see even more devices that are supporting multiple voice assistant platforms. On the one hand, this makes sense, because it’s not at all clear who, or even if, there will ever be a true voice platform winner. By allowing people to select from multiple voice assistant options, vendors are giving their customers more flexibility. But there are some potential downsides to this approach as well, because including support for multiple platforms inevitably adds more complexity and development costs (and, therefore, potential price additions) to most devices. Plus, when you scratch beneath the surface, you can find instances where switching between voice assistant platforms could even impact functionality because of varied capabilities (or lack thereof) across different platforms. Lenovo’s clever new Smart Tab devices are an interesting example of this potential conundrum. Both the $200 M10 and $300 P10 are 10” Android tablets running the Oreo version of the OS—meaning they have the Google Assistant feature built in—but when they are put into their bundled smart dock, they default to Amazon smart display “Show Mode,” similar to the Echo Show. The Google Assistant features work when the tablets are undocked, but won’t work in the dock, because Lenovo optimized the Smart Tabs’ visual capabilities to work only with Amazon’s platform. Now, there’s certainly nothing wrong with that choice, and for the record, the Smart Tabs look to be a very attractive alternative to existing, non-mobile smart displays, but it does highlight some of the tradeoffs that vendors supporting multiple voice assistants have to make. There’s no doubt that voice assistant platforms are an important and increasingly impressive new technology, but let’s hope they don’t become victims of their collective success. An even more confounding problem that consumers are likely to start facing this year is owning multiple products with different smart assistant platforms. With embedded voice assistants being built into everything from toilets to showers to home appliances—thanks to impressive (and inexpensive) semiconductor solutions from companies like Qualcomm, Intel, and others that make them easy to integrate—it’s soon going to be hard to buy home devices that don’t have some kind of voice capabilities. On tech focused devices, it makes sense to consider the particular voice platform(s) supported as a key purchase criterion. For other non-tech devices, however, the voice assistants will simply become a feature that may be a nice to have and not a make-or-break factor. The end result is that people are likely to end up with multiple different voice assistants—and that could get messy very quickly, especially if they are turned on by default (as they are likely to be). While some people may be perfectly comfortable working across multiple voice assistants, and actually remembering which ones are enabled on which devices, most people are likely to get quickly confused in such a scenario. In fact, it could be frustrating enough that people stop using the voice assistant capabilities entirely. Of course, more tech-savvy consumers could just pick a particular platform and only enable it on the devices that support it to simplify things. Even then, however, there can be challenges if multiple devices try to respond simultaneously to a given request. 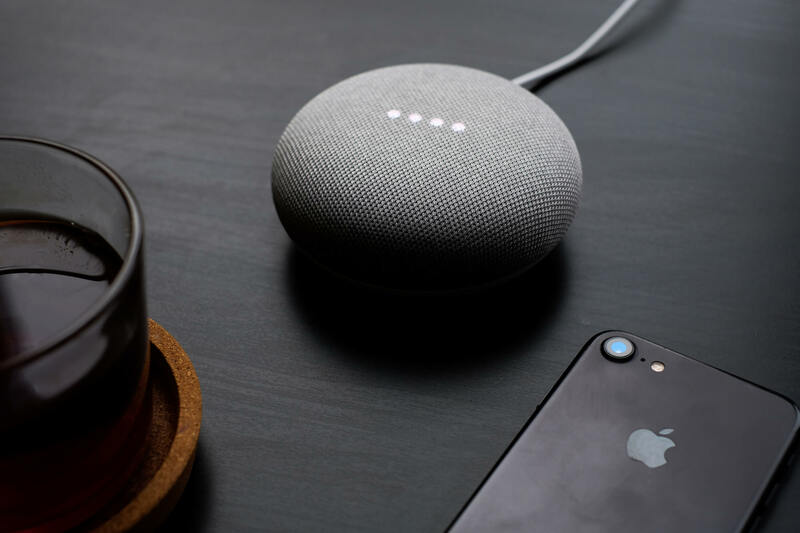 Most of the major platforms are working to address the multiple device response issue as we speak, but it remains to be seen how effective it will be as more and more voice assistant-enabled devices start to make their way into people’s homes. As we’ve seen in plenty of other device platform battles, it’s very difficult to get people to stick with a single ecosystem. For example, while Apple may tout some impressive capabilities across its range of iOS, macOS, watchOS, and tvOS devices, there are very few people who only own Apple devices. Similarly, even though a significant percentage of US homes may own at least one Android-based device with Google Assistant support or one Alexa-based device, it’s not at all clear that means they’re only going to stick with that platform. We live in a very heterogenous device world and that heterogeneity is likely to spread over to the world of voice assistants as well, with implications that could prove to be challenging moving ahead.